Ocean Island Inn | Backpackers | Suites i Victoria, Canada: Reservér nu! A bright and cheery four-floored veteran that packs its hostel-loving travelers into rooms of all shapes and sizes. Boosted by its truly friendly atmosphere, this a good option if you like rubbing shoulders with fellow travelers and being within walking distance of the city's highlights. Lonely Planet BC & Yukon Travel Guide, 4th Ed. Centrally located in downtown Victoria, Ocean Island has a wide array of rooms to suit your budget and lifestyle. You can choose from comfortable 4 or 6 bed dorms to private rooms in all shapes and sizes. With easy access to public transit, ferries, and the airport, we're a great home base for exploring Victoria and the rest of Vancouver Island. Looking for privacy? Our mini room option offers the budget conscious traveler a unique solution to Victoria's pricey hotel room market. In a very compact space we offer all the benefits of a private room- privacy, a comfortable bed, your own mini fridge- at a fraction of the cost of a regular hotel room. Not your style? Unwind in one of our spacious, peaceful private rooms with ensuite bathrooms instead. Our fully renovated 1891 heritage building is full of art and life and colour! • Free unlimited high-speed wireless internet in all rooms and common areas. Great for YouTube, Skype, Netflix, and so much more! 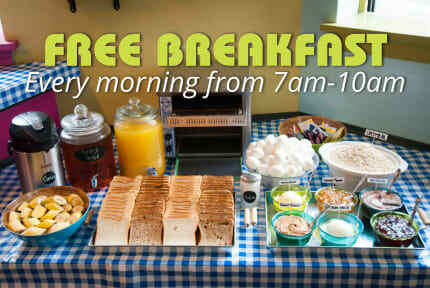 • 24 hour free hot drinks including coffee, hot chocolate and green, black & herbal teas. We get you great discounts on whale watching, kayaking, sailing, diving, car and bike rentals, admission to museums and clubs, and much, much more! 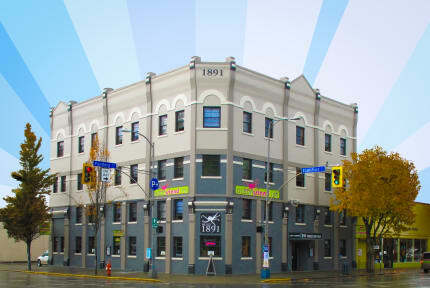 Come see why we're consistently rated one of the best hostels in BC! * Please note that the listed prices do not include taxes (15%). **Please note: You must let us know before 18:00 (6pm) the day before your arrival if you need to cancel, otherwise you will be charged for one night.